David Laurence Murray obituary. Carnes Funeral Home. David Laurence Murray was born on September 5, 1968 and left this earthly life on August 8, 2018 at his residence in League City, TX. 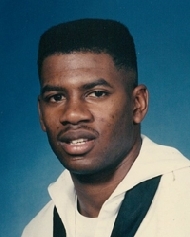 He leaves to mourn: his parents, Barbara Faye Medlock Murray and Elroy Douglas Murray; sister: Cheryl Payne Rowe (James, Sr.); brothers: Jason Christopher Murray and Adrian Scott Murray (Jovan); grandfather: Lawrence Murray Sr. and a host of other relatives and friends. Memorial Services to Celebrate His life will be Saturday, August 18, 2018 at 10:00 AM in the Sanctuary of the New Beginnings Church 1950 Hwy 3 S League City, TX 77573. Pastor Malcom C. Dotson, Sr. will officiate the Services. Memorials may be sent to Carnes Funeral Home 3100 Gulf Freeway Texas City, TX 77590.